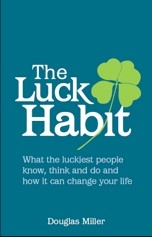 Using a relaxed, conversational writing style ‘The Luck Habit’ includes revealing interviews with top performers from the world of sport, music and business including Olympic gold-medalist Greg Searle, internationally renowned guitarist Mo Nazam and Multi BAFTA and EMMY award winner Adam Gee. The book presents 20 key ‘Luck Factors’ – patterns of thinking and behaviour – which give you greater control over your professional and personal life. Click this link for more. 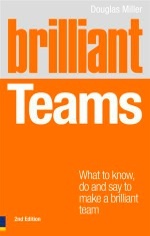 This top-selling book is now in its Second Edition with 3 new chapters. 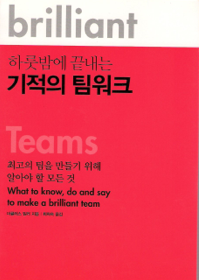 It shows how to generate high-performance, results-focused, successful teams no matter what environment you operate in. Aimed at both team leaders and team members. Explains how managers can create an environment in which innovation thrives. It identifies the numerous barriers to innovation - organisational and self-imposed by individuals - and describes how, through positive intervention, these blocks can be cast aside. Aimed at employed people who want their ideas to be implemented and have impact at work. Your idea may be ‘brilliantly simple’ – a simple thing that changes something for the better. 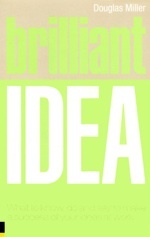 Or your idea may be ‘simply brilliant’ – a big thing that changes everything. Or both! This book is for you. Anxiety has been a feature of our times but it doesn’t have to be this way. This book helps the reader discover practical routes that help change our perception of our anxieties and why we have them. Very much a book aimed at 21st century lifestyles. This very successful book offers wide-ranging positive-thinking techniques that respond to the complexity of contemporary living. Uses straightforward steps that will enable you to find greater happiness and fulfillment in your life. Being positive is so much more than a genetic inheritance. There are so many practical things we can do to bring a positive approach into our own lives. This pocketbook has 36 of them. ‘A GREAT little starter book to introduce you to the ideas & concepts of what PMA (Positive Mental Attitude) is all about’.